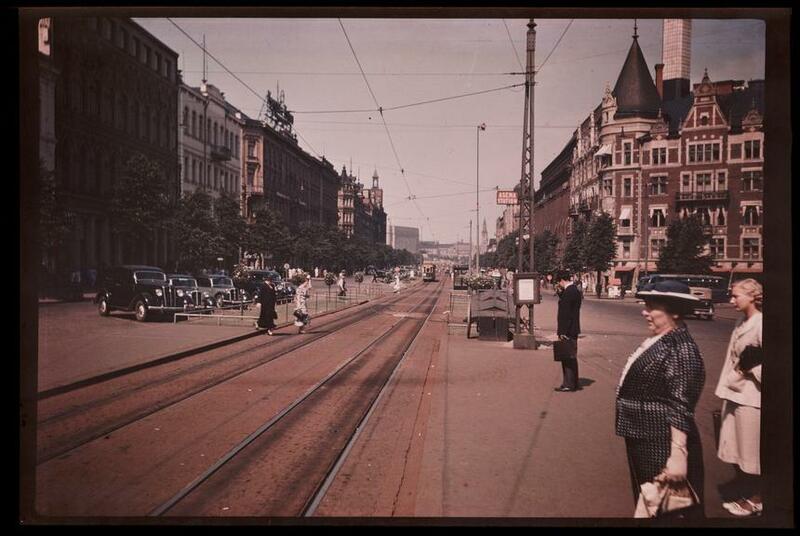 A Dufaycolor colour transparency of a broad avenue in Helsinki, Finland, taken by an unknown photographer in about 1938. People wait for a tram at a stop. The sign above the stop gives the Finnish word for station 'Asema', as well as the English.